Zoutelande is a relatively new name for a city that has been occupied for centuries. 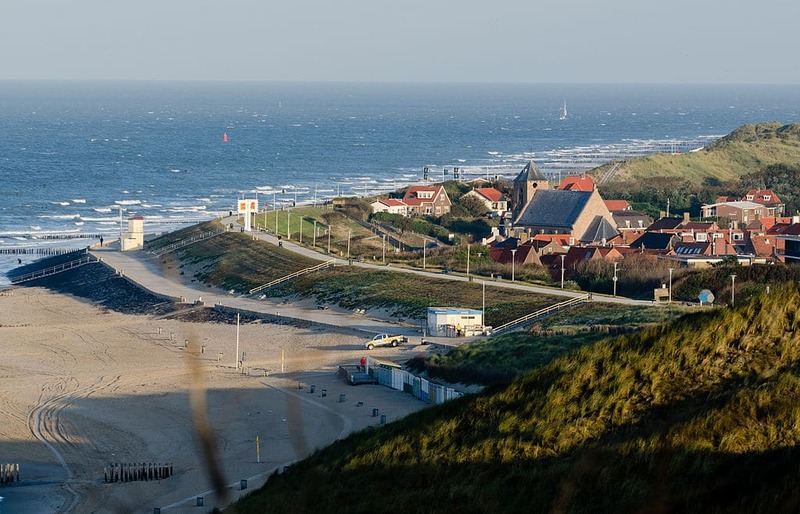 With beautiful views and amazing attractions, Zoutelande is the ideal tourist destination and has seen its greatest prosperity thanks to the tourism industry. With a mere 1,500 inhabitants, this is a small city that is rather quiet during the cooler months, but comes to life in the summer months. Zoutelande more recently became a municipality in 1966. However, its history can be seen stretching much further back. The city was once part of the Walcheren islands and this is where most of its rich history is found. Walcheren was utilized in the times of the Ancient Romans as a port. This is where ships would set sail in hopes of reaching Britain. During this time, many elaborate temples were built to pay homage to the gods. However, there is a large gap seen between this period and the time when the Vikings would conquer the land. In the 9th century, this island was conquered by Danish Viking Herald along with all of the present-day Netherlands. There are many theories and references which have been attributed to the entire island through the centuries. One theory is that this island is what Homer described as the seat of Hades. More recent times sees the city during the Napoleonic wars as well as World War II. In 1809, the Austrians fought Napoleon and would see a large battle take place. When the British landed, they were too late in their efforts and lost many men thanks to the Walcheren Fever. During WWII, there was the Battle of Walcheren Island wherein Canada and Britain assisted with German resistance. There would be multiple battles in 1940 and 1944. The town is known for one thing – tourism. As mentioned previously, this small town is home to thousands of tourists during the summer that ensure that money is brought into the city. Of all the tourists that visit, the most widely seen are Germans. The beautiful beaches are lined with B&B as well as various shopping centers and food outlets. The beach is unique in the fact that it is one of the only beaches in the country that actually faces south. This town has picturesque skies and is also home to many artists that will sell their artwork all over the world. Fishing and recreational sports are also in abundance throughout the year and bring in much of the city’s revenue. 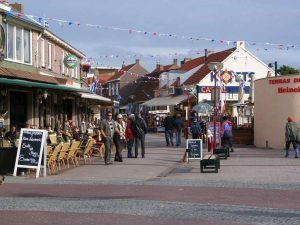 Since the transition from an agricultural city, Zoutelande heavily relies on tourism. Locals will often leave the city’s borders during the winter months so that they can find steady work. This is quite common for coastal towns that merely lose all of their revenues in a short time span. Zoutelande, however, is actually seeing a decrease in residents as a result of the difficulty finding work during the cooler months. Zoutelande is very small and tourists often opt for a car hire to get around town. There are also bike rentals that will be more than accommodating for anyone that doesn’t mind a brisk ride to the beach. Bus 53 is the main bus seen through the town and will connect travelers to other major cities, such as Middleburg. Trips are just under 5 euros a person and take under a half hour. The bus station is within walking distance of all of the major shops and most of the hotels. The local landmarks and monuments span far and wide. Zoutelande’s most famous monument dates back to the 13th century and is home to a beautiful church dubbed the Dutch Reformed Church. While only small fragments of the original church exist, the church was reformed in 1500 and restored in 1573. Further changes were made in 1738 and in 1950 a full restoration took place. While many other monuments and landmarks have been destroyed over the years, the old windmill is still standing. This is a beautiful brick windmill that dates back to 1722. There is also a Bunker Museum that allows visitors to catch a glimpse of what life was like during war times. Being small, the town is now seen as a hotspot for shopping. While there are definitely shops seen in the city center, they are mostly small in size and consist of clothing and local crafts. Ristorante Pizzeria Italia can be found on Duinweg 12 in Zoutelande and is one of the most highly rated restaurants in town. Delicious pizza can be found here with a beautiful ambiance and an authentic Italian taste. De Strandzot is found on Strand Zoutelande and serves delicious seafood. All of the food is freshly caught and purchased from local fishermen. The taste is definitely unique to the area and locals dub this as their favorite seafood restaurant in town.